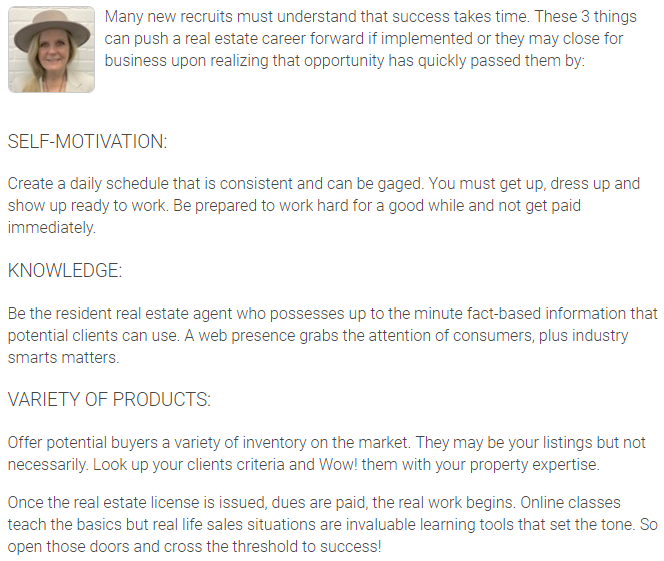 Agent Insights - Opening Those Doors to Business Success! On this edition of Agent Insights we feature guest blogger Wanda Kubat-Nerdin, a real estate broker from St. George, Utah. We have featured her before on our blog, and you can read that article here. For more from Agent Name be sure to check out their website and Active Rain profile! If you have questions about homes in southern Utah for sale, then please contact Wanda at 435.632.9374 or wanda@buynsellutah.com. If you want to read more from Wanda Kubat-Nerdin, be sure to check out her website! Want more great real estate advice from your fellow agents?